When Americans think of the civil rights movement, images of Selma, Greensboro and Montgomery come to mind. But what most people don’t know is that many of the first steps in the long struggle for racial equality were taken in Oklahoma. Decades before Brown v. Board of Education, Oklahoma leaders were pushing back against segregation and discrimination in the courts. In Oklahoma City during the 1950s, coordinated sit-ins opened lunch counters, restaurants and retail stores to black customers. It happened in Oklahoma first, but because there was little violence it did not capture the national spotlight. 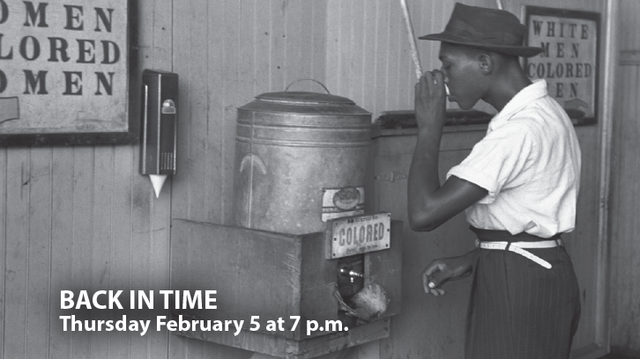 OETA’s award-winning documentary series "Back In Time" looks at the Oklahomans who risked everything in the fight for “Civil Rights” Thursday, February 5 at 7pm. The episode rebroadcasts Thursday, February 19 at 7pm and Sunday, February 22 at 11am. OETA and PBS are proud to celebrate Black History Month this February and all year round. In 2015, we're bringing you a new lineup to help you explore even more of our award-winning programs, special online even and more!